In March, my husband Adam and I took our first trip to Kenya. This was our second time Packing for a Purpose since we began volunteering with Pack for a Purpose in 2013 (we brought supplies with us to Turkey last year). 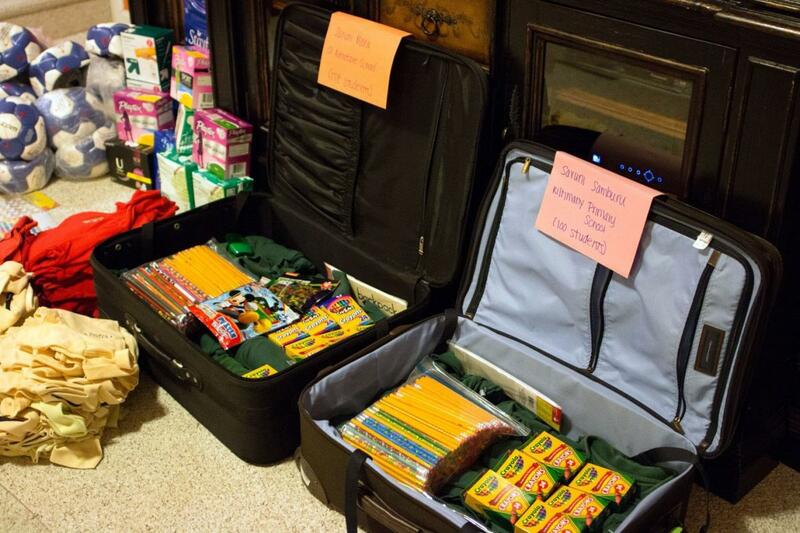 This trip was the first time we were lucky enough to deliver the supplies in person. It was an experience that we’ll never forget and one that we hope to have the chance to experience again. While Pack for a Purpose typically suggests travelers pack five pounds of supplies, we knew we had a lot of extra baggage allowance on our international flight. With that in mind, Pack for a Purpose founder Rebecca Rothney contacted a few donors and we contacted my favorite donors… my parents, Terry and Joe. The end result was wonderful and our garage was soon accumulating supplies. We would like to take a moment to say a big thank you for all the donations we received. Passback Soccer donated a bunch of soccer balls and The Uniform Project provided a large number of gently used children polo’s shirts. We also received an inspiring package chock full of pencils from a child named Savannah who started Simply a Pencil, a pencil drive to help other children. 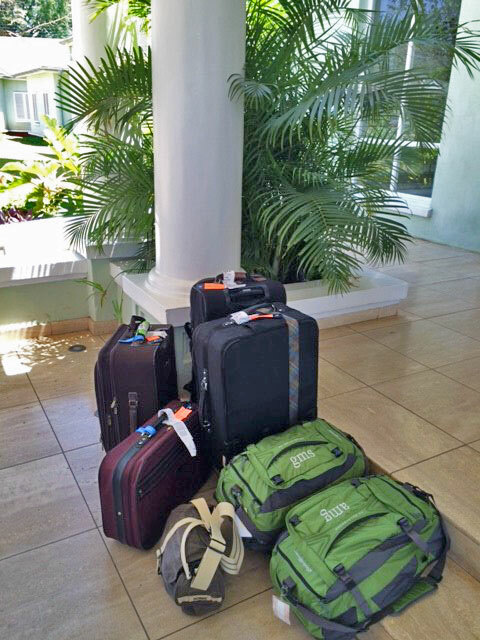 Thank you to Sharon Luggage, who donated two suitcases to help haul our supplies. Our repeat donors, Terry and Joe, donated additional suitcases (it’s amazing what we find in their attic!) and a bunch of other supplies. 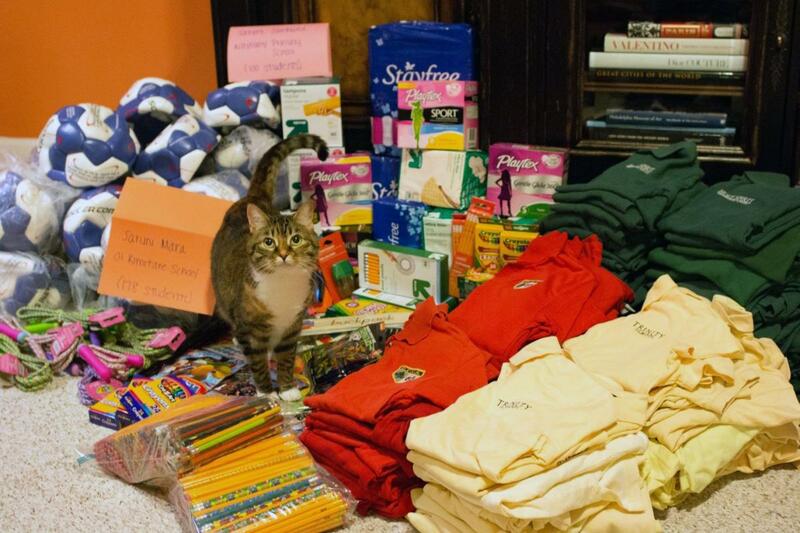 Of course, a warm thank you to Rebecca & Scott from Pack for a Purpose for helping arrange the donations. 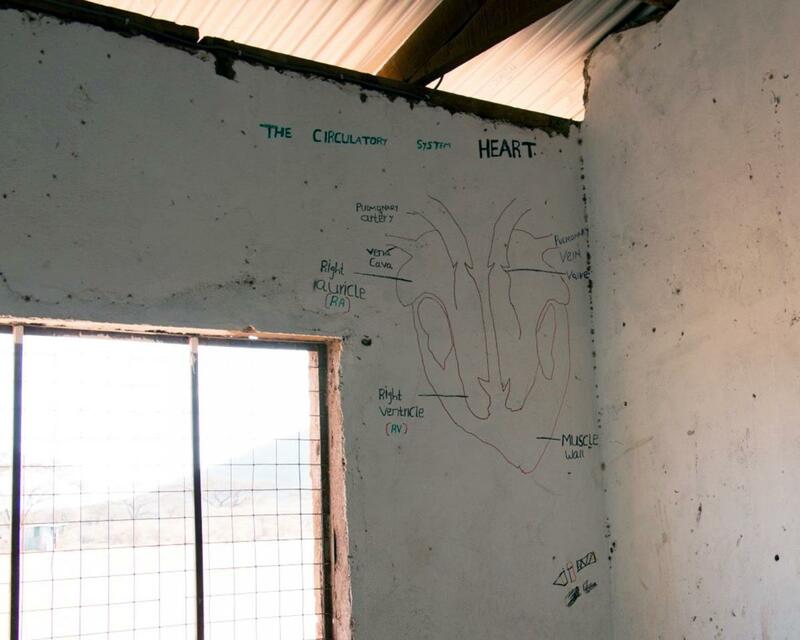 With all of the donations we received plus our own supplies, we decided to support projects at our first two lodges, Saruni Samburu and Saruni Mara. A few nights before we left, we pulled in everything and went to work repackaging the supplies (a trick learned from Rebecca and Scott), splitting them up, and packing them into suitcases. While our international baggage allowance was generous, our flights within Kenya had very strict (and small) baggage allowances. To make sure our supplies arrived at their destination, we needed help. Tom at Wayfairer Travel, the Saruni Nairobi office and SafariLink all worked together to make sure our luggage arrived at both destinations in time for us to deliver them in person. 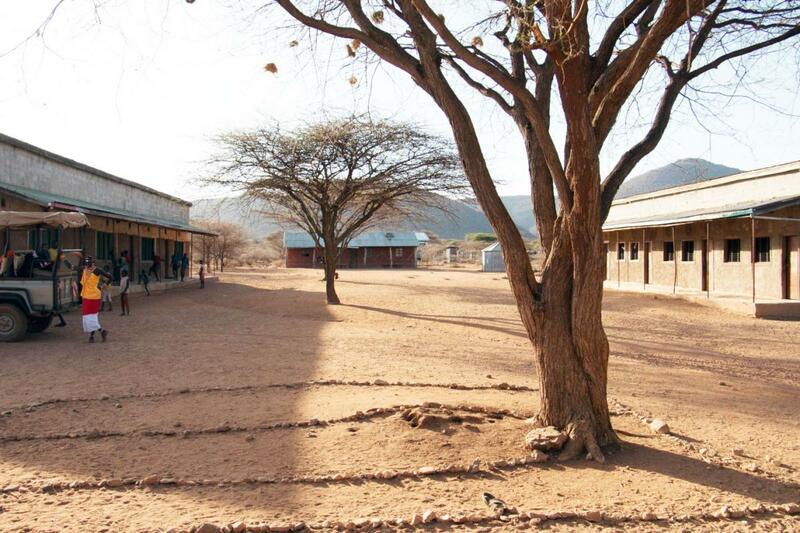 Our first stop was Saruni Samburu, which supports the Kiltamany Primary School in the local village. The school and the lodge have a close relationship. Several of the staff members, including one of our guides, attended the school and one staff member even taught there. With the bags loaded onto the truck and an inflated soccer ball ready to go, we set off. The headmaster, Elijah, met us enthusiastically and gave us a tour of the school. The school teaches both local children who walk to school each day and a large number of orphans and children who live further away. They had recently built a girls’ dormitory and another new building, which was currently being used as the boys’ dormitory. After the tour, the fun started. When we had first arrived, a group of children were playing soccer with a basketball, completely worn smooth from use. 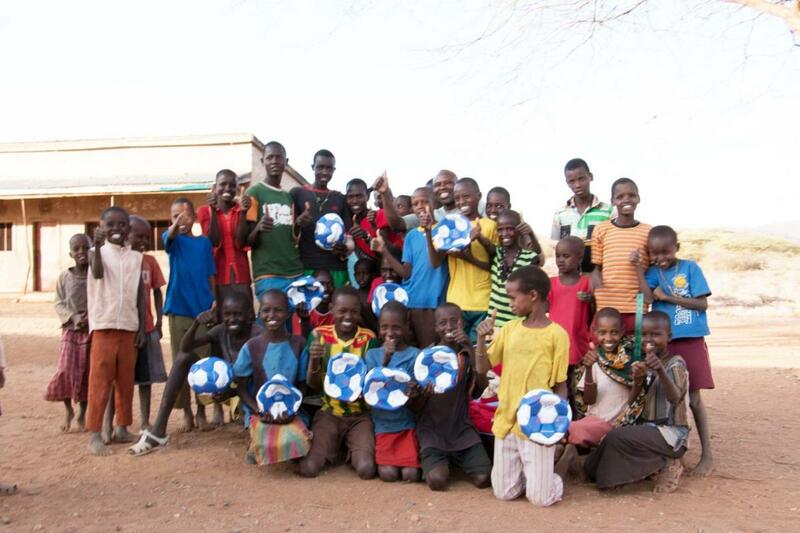 They were in need of a soccer ball and a group of older boys had noticed the ball we left sitting in the truck. It was so much fun to see their reaction when we handed the ball to the headmaster—the entire group of kids began cheering and clapping. When we lifted the other two suitcases out… well, it was a wonderful thing to experience. 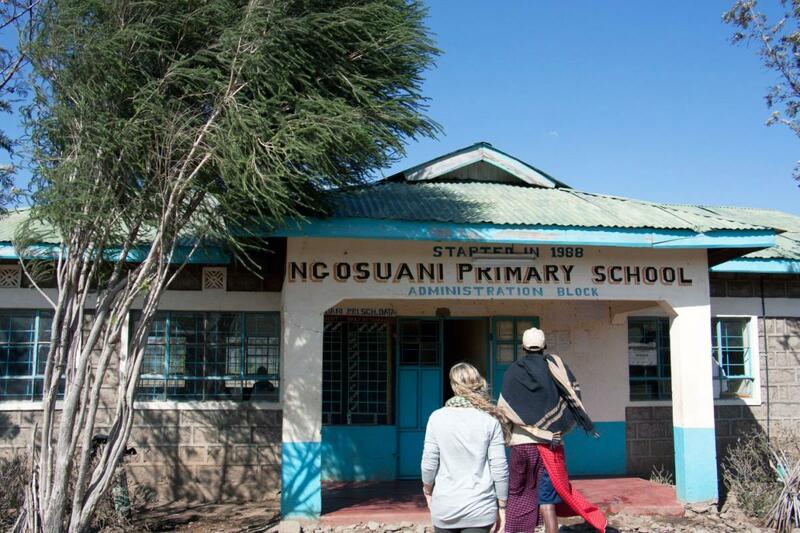 The second project that we supported was the Ngosuani Primary School in the Mara North region of Kenya. School was in full session when we arrived. After meeting with the principal for a few minutes, the headmaster (who also serves as the 6th grade teacher) gave us a tour of the school and introduced us to the students in each classroom. The students were curious, although a bit shy at first. Once the teachers encouraged them to ask us questions, they opened up. Most wanted to know our names and where we were from. We shared a picture of our house covered in snow, something they had never seen before, and a picture of our cats with the younger students. The older students were interested to hear what our general daily lives were like—what type of food did we eat and what did we do for a living. The opportunity to interact with the students in their classrooms was really icing on the cake. Once that initial shyness dissipated, we could see hints of their personalities emerging. 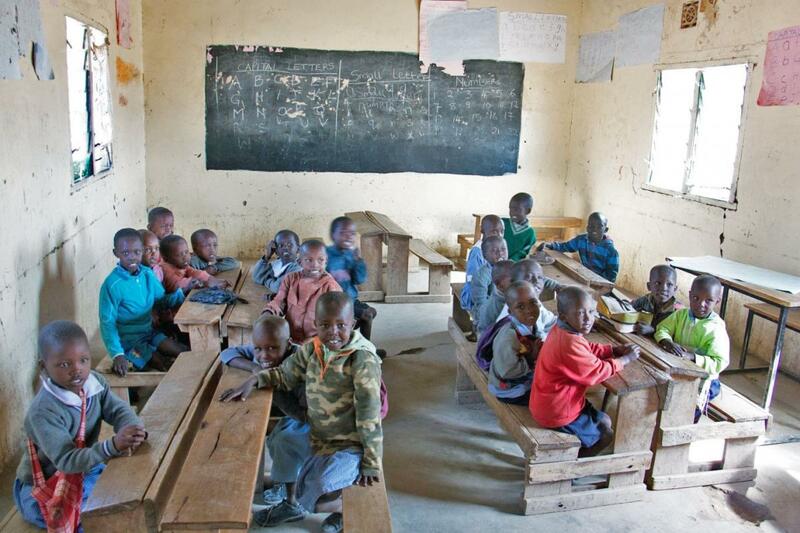 They were cheerful, sometimes bashful, always respectful and visibly interested in learning and interacting with us. And just when we thought our visit with the children was complete, the boys began a traditional jumping dance for us—the sprinkles on of top the icing on our cake. With classes back in session, we headed to the administration building to deliver our suitcases directly to the principal and headmaster. They were sincerely appreciative and looked through both bags enthusiastically. And it turns out, we had great timing. Besides being in need of school supplies like pencils and crayons, the students had a soccer match scheduled for the next day but their last ball had broken open the day before. This earned us many invitations to come back the next day for the soccer match! The students we met at both schools were full of joy and excited to meet us. The headmasters were excited to be teaching and full of energy. We never expected to be in the middle of Kenya visiting schools, talking to students, and watching them play soccer—but we’ll never forget it.